Sailing to off the beaten track destinations is the unique advantage of vacationing aboard a luxury yacht charter. By their very nature, private yacht charters transport you into a blissful world that is all yours, away from crowds, resorts and tourist spots, and straight into some of the most unspoiled and uncrowded parts of the world. The amazing part is that you can scour the most popular sailing destinations on the planet…and still find plenty of undiscovered coves, beaches, and islands. Don’t think it’s possible? Oh dear intrepid sailor…how mistaken you are! Come aboard as we take you on a journey to Explore Off the Beaten Track Destinations…All at Your Own Pace. Imagine a life with no schedules, no commitments, and no looking at your watch? Aboard a private luxury yacht charter, that’s precisely what you’ll get. Total personal freedom, the Holy Grail of everyone who lives a fast-paced life. Freedom to sail, to drop anchor, to change route and to do only what you please. It’s this kind of independence that lets you discover the most off the beaten track destinations, no matter where you sail. Find an island too crowded? There’s nothing to stop you from smiling at your captain, throwing him or her an all-knowing wink, and go in search of less trodden land. If that’s not enough, the only opinion you ever need consider is that of your fellow sailing companions. No need to please strangers on a group cruise, all you need to do is please your loved ones. Kids want to go trampoline jumping out on the open sea? Your spouse wants to sunbake on that particularly pristine stretch of glistening beach you spotted 10 minutes ago? 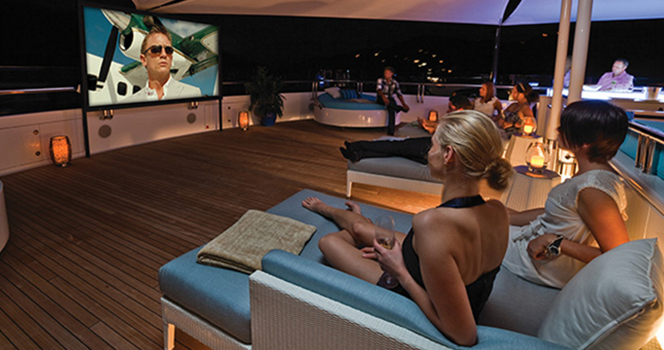 Aboard a private luxury yacht charter…you can. You can explore islands, waterways and coves which are off bounds to larger cruise liners. You can stop or go, in a matter of minutes. You can skip the crowds entirely and go hours on end without running into a single other person. There’s no other form of travel, or sail, which can grant you this much freedom. Explore off the beaten track destinations aboard a private yacht and you’ll gain a brand new appreciation of time. Life, when sailing, can be as slow or fast as you wish. You set the pace and, together with your experienced captain, can plan an itinerary to suit your needs and desires. It’s only natural that the most remote destinations on our planet, are also the least visited. But this doesn’t necessarily mean that you won’t find that precious hidden spot even in the most popular hubs. Here are some of our favorite off the beaten track destinations you can visit aboard a private luxury yacht charter. Myanmar: One of the world’s most enticing new sailing destinations, Myanmar has only recently opened up to international tourism. One of Southeast Asia’s least visited countries, Myanmar boasts a superlative archipelago made up of hundreds of islands, most of which are uninhabited and offering an unrivaled chance for groundbreaking seafaring explorations. Ancient gypsy tribes, pristine tropical jungles and an unspoiled underwater world brimming with life and color. Explore the Mergui Archipelago aboard your private luxury yacht and you’ll feel transported to a different era, a different world, a totally different reality. Want to be the first to discover and cast tour eyes upon an unforgettable hidden treasure? Come to Myanmar, and you can. Komodo: A fellow Southeast Asian contender, the Komodo Island archipelago is one of Indonesia’s most prized reserves, a phenomenal sailing destination that’s as mystical as it is marvelous. Come face to face with prehistoric dragons, as you wander through this UNESCO-listed marine park. Dive with enormous schools of manta rays (this is one of the world’s best place to spot them) and chase giant turtles as they nonchalantly glide above endless miles of untouched coral reefs teeming with fish. If you’ve ever dreamt of playing Robinson Crusoe, this is one off the beaten track destination you absolutely must visit. A nearly infinite array of uninhabited tropical islands where nary a footprint can be found on the glorious sand. Coral reefs in abundance, outstanding landscapes and as much privacy as you can handle. This is undoubtedly the queen of Off the Beaten Track Destinations. San Blas: One of the most inspiring Caribbean secrets of all, Panama’s San Blas Islands are perfection personified. Close to home and idyllic all year round, the San Blas are that incredible haven everyone should know about, but not everyone does. For the discerning yacht charter guest looking for that flawless destination off the beaten track, Panama’s jewel is stupendous, convenient, and very rewarding. Explore the San Blas and you can discover new sublime island every day of the year (no, really, there are 365, we counted! ), oodles of tropical wilderness and a wealth of underwater treats - including manta rays, in case you miss them in the Komodo. Virgin Islands: Anegada is one of our favorite hidden gems of the BVI. So hidden is this magnificent island and surrounding reef, that you barely even see it until you are right on top of it. Crystalline waters, colorful coral and lobsters plucked right out of the water for your delectable dinner. Stretches of deserted beaches and some of the most mesmerizing night skies you’ll ever see, anywhere. Finding this kind of hidden treasure, in arguably the most popular yacht charter destinations of all, is purely magic. The best part? Anegada may be unique, but it’s certainly not the only one. Italy: Oh Italy…home of La Dolce Vita, gelato, La Grotta Azzurra and some of the most breathtaking stretches of coast in the world. One of the most visited and loved yacht charter destinations and the one where you’d think it impossible to find off the beaten track corners. Sail the coastline of beautiful Sicily and set your sights on Cala Rossa, on Favignana Island, a magnificent rocky cove that’s best explored by yacht. The colors here are out of this world and something you only thought existed in the tropics. Every shade of blue and turquoise, with a backdrop of high limestone cliffs that seem to simply burst out of the water as if they were icebergs. SCUBA divers will love it here as visibility, and underwater life, are stupendous. Favignana is only one of Italy’s best-kept island secrets and there are countless more to discover. 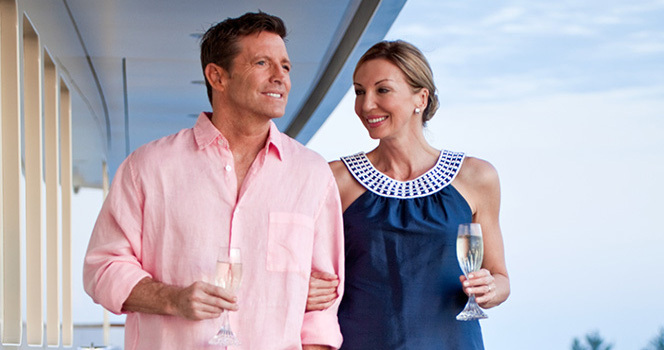 Explore off the beaten track destinations on your next luxury yacht charter vacation. Let us know where and when you wish to cast off, and we’ll help you create a bespoke itinerary that will see you sail to some of the least-visited, yet still unforgettable, places on earth.